Though typically associated with regional automotive launches, the Bangkok International Motor Show (BIMS) is also a highly anticipated event in the motorcycle industry’s calendar. 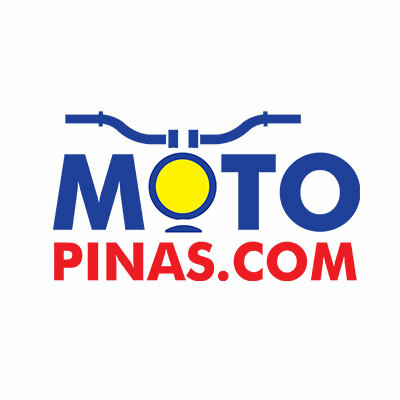 With a good one-third of the total floor space dedicated to motorcycle displays and booths, the BIMS continues to serve as a vital barometer of regional motorcycle trends, as well as a preview venue for models that could be coming soon to the Philippine market. As such, one scooter that has caught our eye since 2017 is the Yamaha Q-Bix. Yamaha Thailand touts it as the “smartest scooter ever.” Even upon its release 2 years ago, the Q-Bix boasted of a combination of technological advances ahead of its time with technologies not seen in a scooter before. This year at the 2019 BIMS, the Q-Bix comes with 6 new color styles to choose from. The Yamaha Q-Bix looks like it came straight out of the movie I, Robot and is powered by an economical Blue Core 125cc engine with increased combustion efficiency that translates to higher fuel economy and reduced carbon emissions. Other features include full LED lights both in front and in the rear lights. There's a full LCD panel, built-in mobile phone charger socket and pocket, and an under-seat storage space with illumination that could fit up to 2 helmets. The top shelf model comes with a remote key with a position and answer back system so you won't have a hard time trying to locate your Q-Bix scooter on a jam-packed parking area. The Q-Bix can also start and shut its engine with just a press of a button on the remote. It also comes in with a stop & start system that will automatically shut down the engine a few seconds after a traffic stop then will start it again with just a simple twist of the throttle. An Anti-lock Braking System or ABS comes in standard (front disc) for the top shelf model. No doubt, this is something that we would love to ride here in the country so we asked Yamaha Philippines if they will be bringing this masterpiece of a scooter on our roads and their answer was simply “no further announcement”. There may be a lot of reasons why they are not bringing the Q-Bix here in the country yet and we can only speculate for the meantime. For one there's the price. The current SRP of the Q-Bix ABS in Thailand is 60,400 Baht which is almost PhP100,000 – too close to current SRP of the Nmax and Mio Aerox. There's also the displacement. Though packed with lots of tech, the bore is just not enough to catch up with today's trends in motorcycle and scooter displacement which is 150 cc and above. A lot of Filipino consumers still prefer displacement over practical technological add ons. Lastly, the Mio 125 series is still doing great as far as sales are concerned. Again, these are just speculations though but wouldn't it be nice to see this futuristic scooter masterpiece on our streets? We may expect an all-new Honda CBR150R soon, as all-new model launched at 2019 Bangkok International Motor Show. No more left turn from Manila to Cubao. MMDA advises motorists to take alternate routes.